Showcasing a picturesque Craftsman-inspired exterior with lush landscaping, this home’s eye-catching curb appeal offers a glimpse of what you can expect to find inside. Featuring details like brand new paint and trim throughout, this stylish residence is just waiting to be transformed by your own unique furniture and decor. In the formal living room, vaulted ceilings, shimmering bay windows, and a trendy yet timeless color palette create a fresh, elegant feel that’s perfect for hosting guests in. The same is true for the adjacent dining room—enjoy serving up holiday feasts and meals to celebrate special occasions! 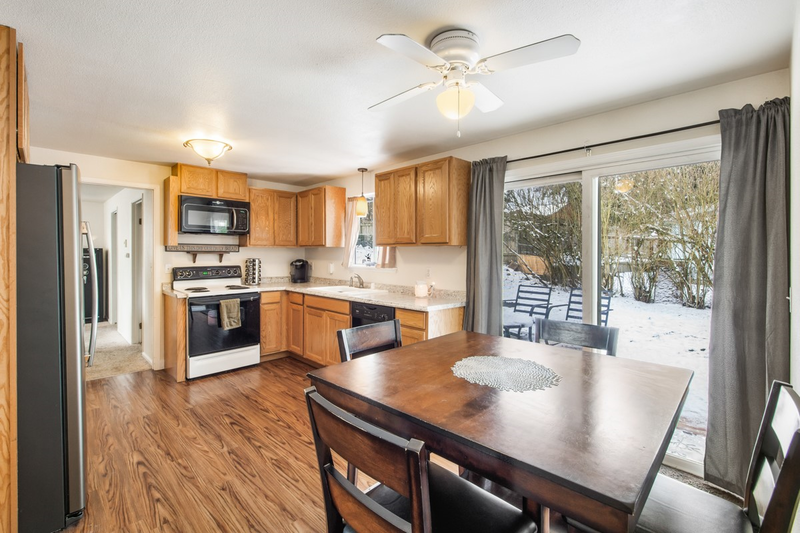 The chef’s kitchen is conveniently within reach from here, and amenities like a gas range and walk-in pantry add extra ease and efficiency to daily tasks. 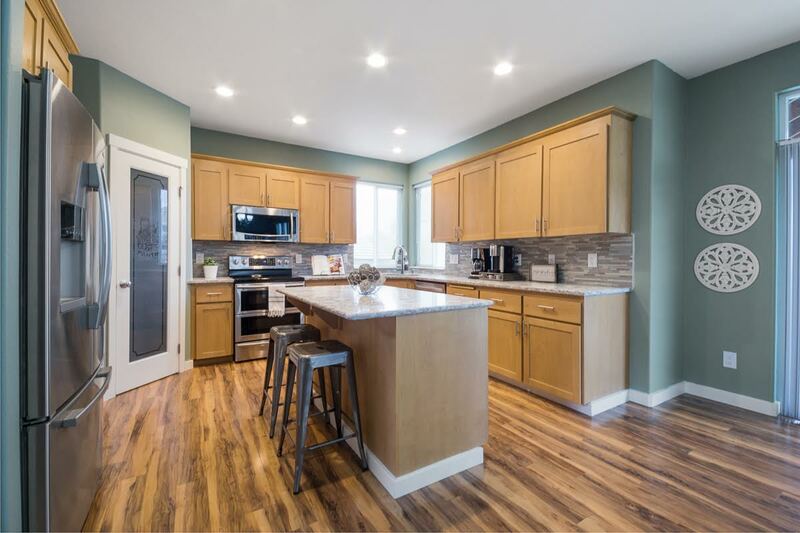 Large counters offer plenty of room for meal prep, and handsome, generous cabinetry ensures you have lots of room for storing kitchen essentials. Serve up meals at bar-style counter seating or in the adjacent dining nook—casual meals among loved ones are right at home here! 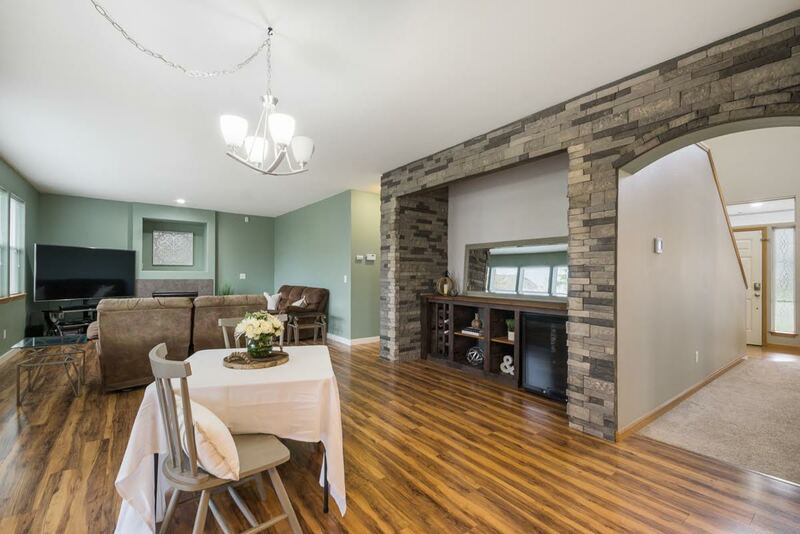 The layout unfolds into the family room, the perfect haven for gathering and making memories in. Game nights, movie marathons, and cozying up by the fire on a chilly evening… years and years of good times are sure to transpire right here! 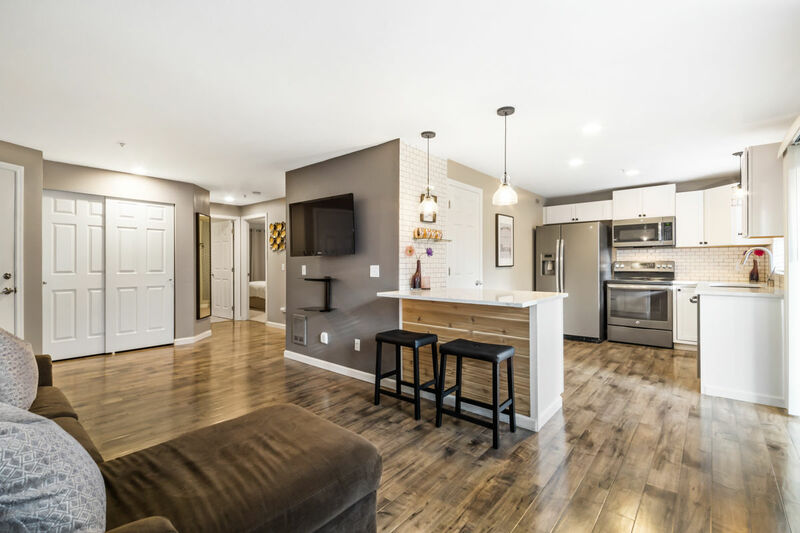 This home’s 1,909-square-foot layout includes 3 bedrooms plus a den, and if you have extra space you might choose to transform it into anything from hobby room or office to a fitness center or playroom. There’s also a fabulous master suite in the mix—this sumptuous haven is ready for rejuvenating rest and relaxation! Cool blue walls and plush carpets offer a refreshing atmosphere, and natural light cascades in through strategically placed windows. You even have enough space for a sitting area or a desk if you’d like it! 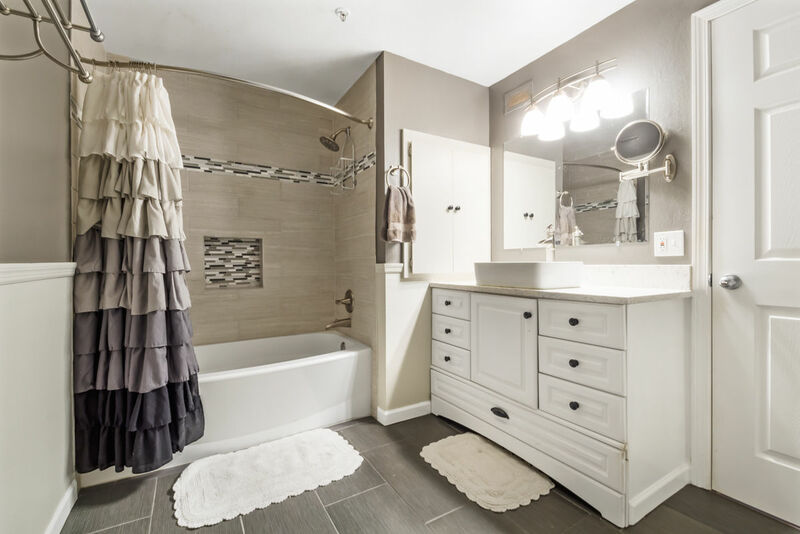 The master suite also boasts a walk-in closet and a 5-piece spa-inspired bath, complete with a soaking tub that promises luxurious bubble baths whenever you need to unwind. Abundant outdoor opportunities can be found with this property’s fully fenced backyard—keep things simple and low-maintenance or get to work decorating and gardening. Spruce up the patio with some comfy outdoor furniture, flower baskets, and a string of firefly lights, and enjoy the fresh air and sunshine all spring and summer long. There’s also room for lawn games, a play toy, garden beds, and more! 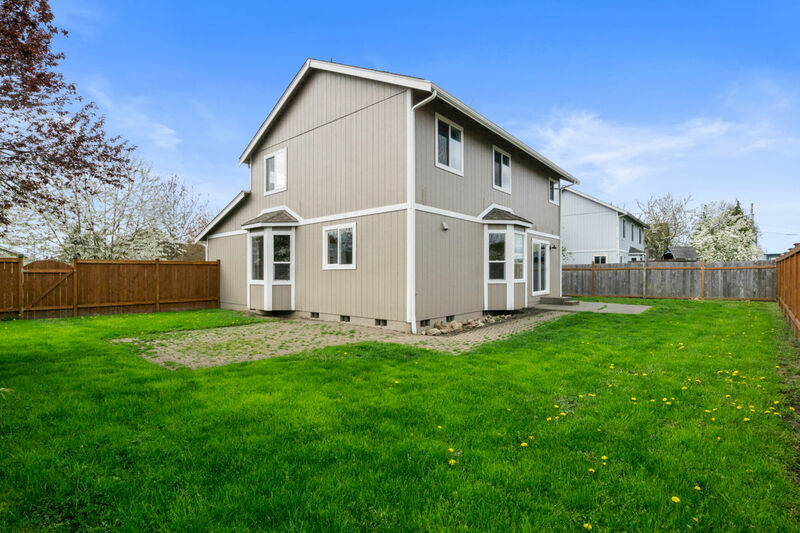 At 250 Hamilton Ct Buckley, WA 98321, you’re in the Hamilton Estates neighborhood and just blocks away from local schools. You’re also merely blocks away from other city conveniences, like eateries, the library, gyms, and other shops and services. Highway 410 is a short 3-minute drive from home, and from here you can head west to connect to Highway 167, 512, and beyond. Boasting an elegant blend of classic and contemporary styles, this timeless 4-bedroom, 2.5-bath residence presents a fantastic opportunity! Featuring a palatial 2,662-square-foot layout that’s brimming with elegant design and fashionable finishes, you’re sure to enjoy spending time here whether you’re simply relaxing with loved ones or hosting a crowd of guests. There’s even a gorgeous backyard oasis that’s all yours! 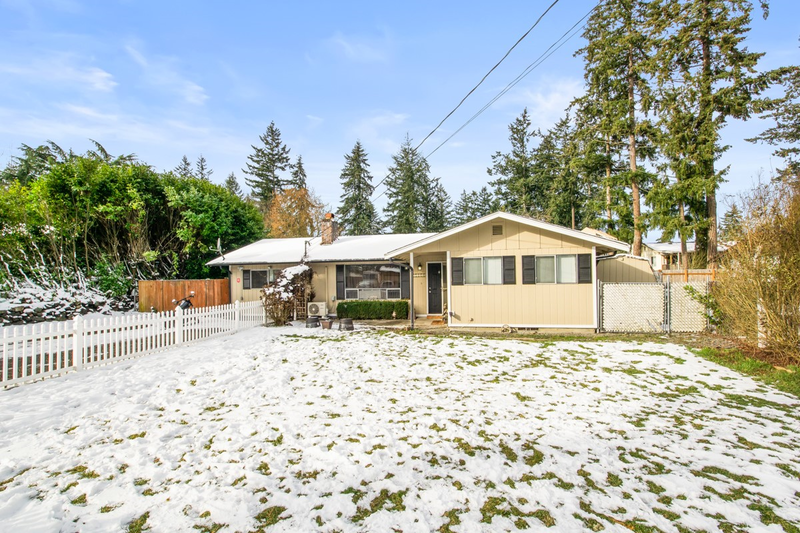 Located at 22217 75th St Ct E Buckley, WA 98321 and merely minutes to Lake Tapps, shopping, freeway access and more, this Buckley beauty is listed for $455,000. Take a 3D tour of this home right here! When you pull in the extra-large driveway, this home’s manicured front yard and Craftsman-inspired exterior immediately delight! A front porch offers a perfect spot for a bistro table and flower basket displays, and when you step in through the front door, the light-filled entryway with vaulted ceilings makes for a lasting impression. 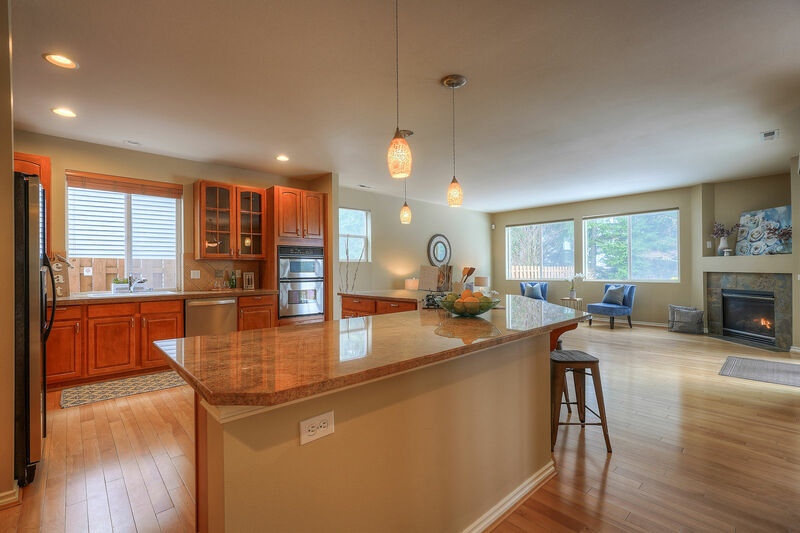 The living room seamlessly flows into the spacious dining room, a definite treat for those who love to entertain! 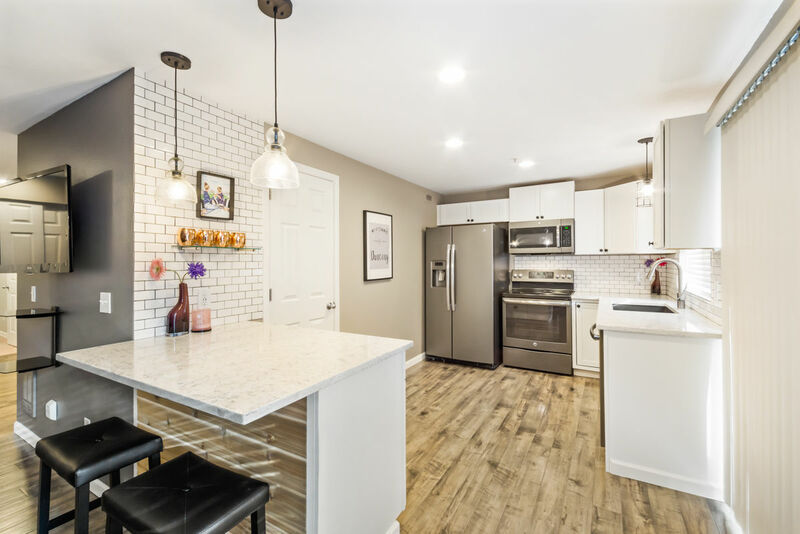 An archway leads to the well-appointed deluxe kitchen, and gorgeous quartz counters, sleek stainless steel appliances, and a convenient walk-in pantry are just some of the top-notch amenities you’ll find in the attractive mix. An intricate backsplash design and a modern color palette elevate the overall style, and a fabulous custom stone-wrapped bar offers a captivating element to the scene. Show off your wine collection or whip up a cocktail in style! Laid-back meals are right at home in the dining nook, and the adjacent living area promises relaxing evenings spent in the wonderful comfort that only home-sweet-home can provide. A wall of windows fills the space with rejuvenating natural light, while a fireplace makes it easy to turn on coziness with the flick of a switch! Plus, A/C is ready to keep things comfortable during warmer months. Journey upstairs to find the rest of this home’s generous 2,662-square-foot floor plan. 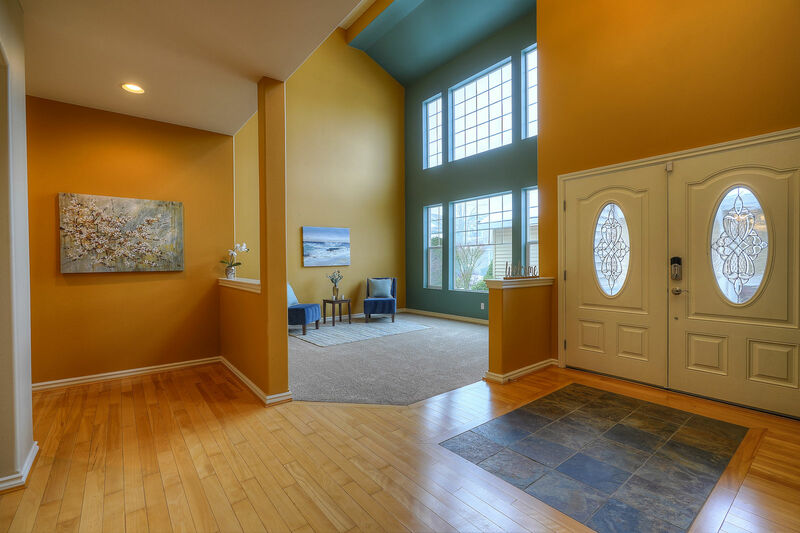 A loft offers a sunny spot for an office or play area, and this home’s 4 bedrooms can all be found here as well. Each spacious haven promises loved ones privacy and a space to call their own, and the master suite is a definite not-to-miss highlight. This sprawling sanctuary boasts exquisite vaulted ceilings, a large layout, and even has its very own fireplace. Imagine snuggling up in bed with a fire dancing in the background, bathing the room in its warm light as you drift off into dreamland. A 5-piece ensuite bath is just the cherry on top, and a soaking tub ensures luxurious bubble baths are definitely in your future. 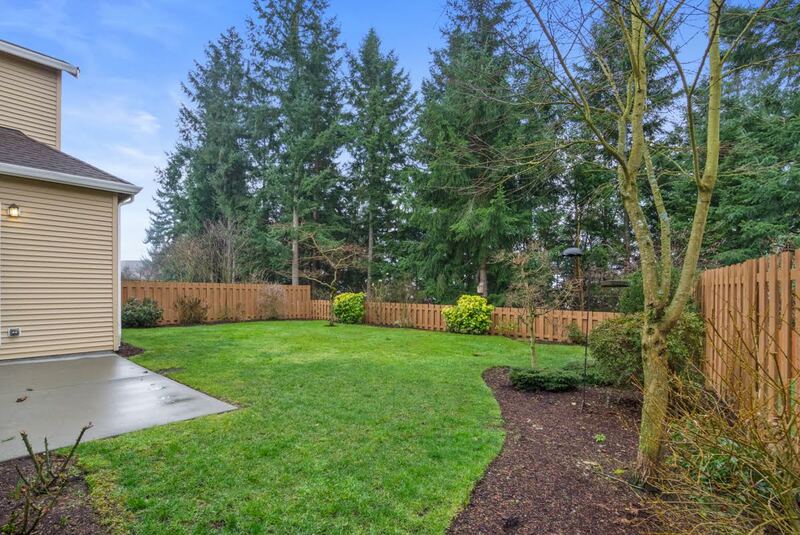 A whole world of its own awaits in the backyard paradise, a fully fenced area with a sprinkler system that’s ready for play, relaxation, and entertaining all spring and summer long. A partially covered patio means that barbecues and get-togethers are a breeze whether rain or shine, and a fire pit is ready for memorable evenings spent roasting s’mores as the sun goes down! 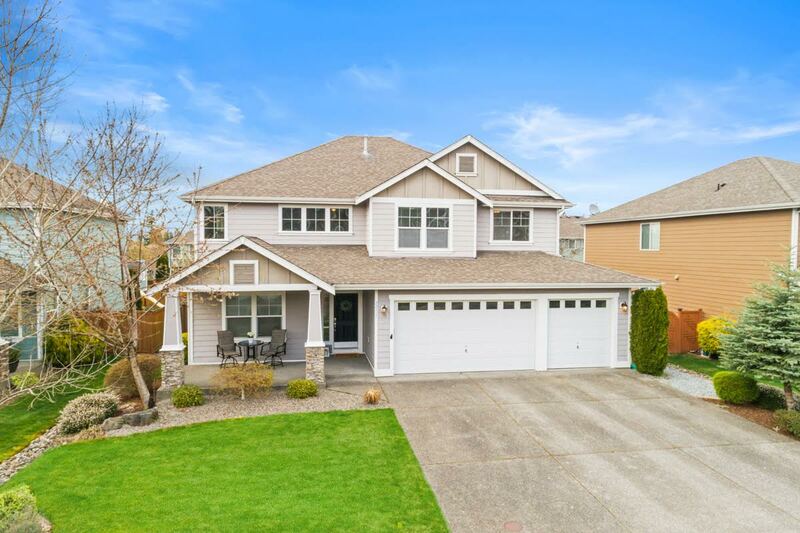 At 22217 75th St Ct E Buckley, WA 98321, you’re nestled in the highly desired White River Estates neighborhood that’s just southeast of Lake Tapps. Allan Yorke Park on Lake Tapps is only a 6-minute drive away, making it easy to take advantage of amenities the lake offers. When you need to run errands, you’ll find all you need is just a 4-minute drive away along Highway 410, and places like Safeway, The Home Depot, Fred Meyer, Regal Cinemas, Trapper’s Sushi, Mazatlan, Papa Murphy’s, The Buttered Biscuit, and more are all right there! Interested in learning more? 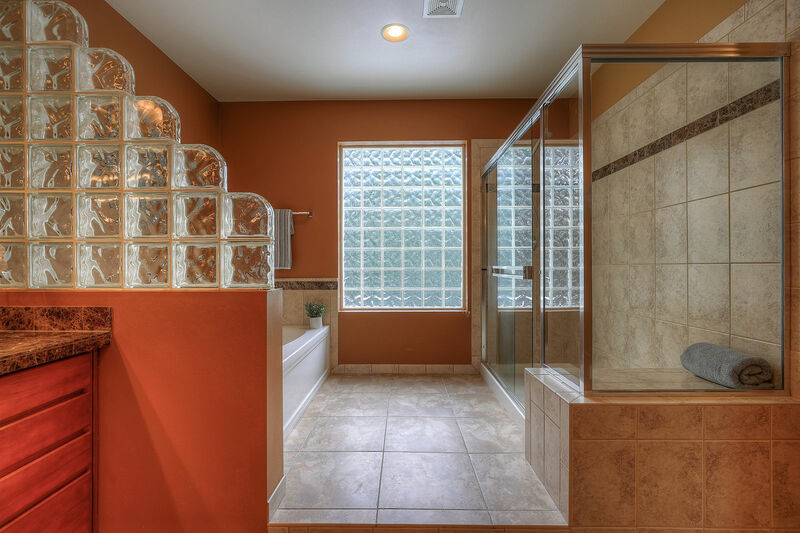 Click here to view the full listing, and click here to take a 3D tour of this home. You can also contact REALTOR® Rachel Holland online here or give her a call/text at (360) 224-0689. When you arrive home, an extra-long driveway with RV parking and an expansive front yard greet you, making for a delightful first impression! 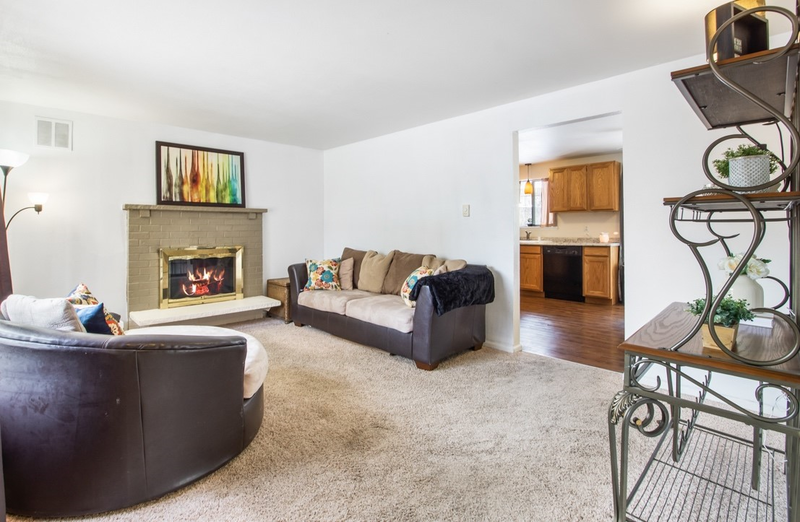 Step in through the front door to discover the main living area, where cheerful sunlight pours in through large picture windows and cozy carpets and a fireplace warm up the space. 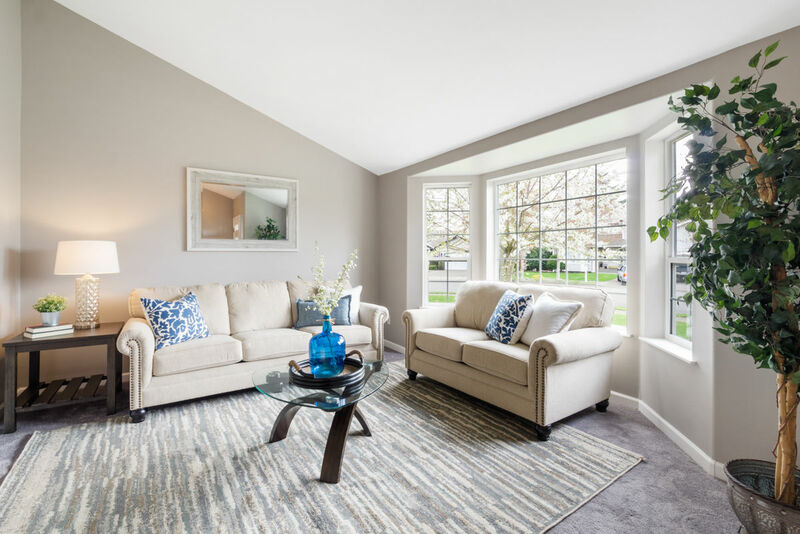 A Toshiba heat pump promises toasty evenings snuggled up on the couch, and a neutral color palette means you can move right in and start decorating and infusing each space with your own personal style and decor. This home’s floor plan unfolds into the kitchen and dining nook. Gorgeous, shimmering laminate floors compliment the warm and inviting aesthetic of the space, and a newer fridge promises efficiency. Find plenty of room for storing kitchen essentials and for meal prep, plus convenience in serving up meals with the open dining area! Cheerful natural light fills each corner of this space, all while offering views into the backyard. 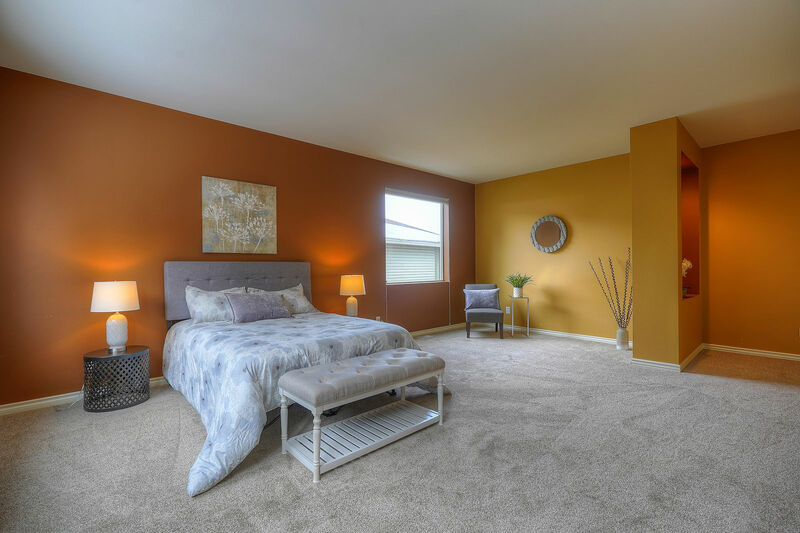 You’ll also find 3 versatile bedrooms, and a huge bonus room offers even more flexible space. 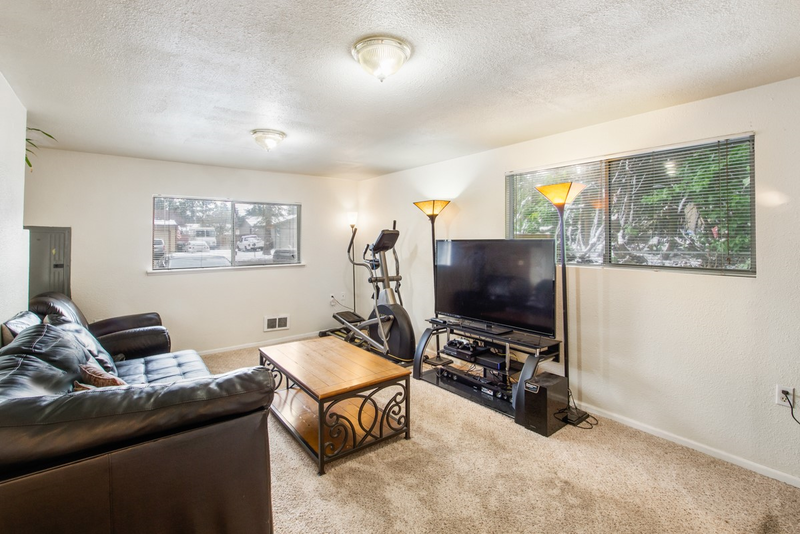 Easily transform this large area into an additional living space with an entertainment center, or use it as a playroom, hobby room, fitness center… or a combination of all of the above! There’s also a connected laundry room, and here you’ll find tons of built-in storage. Perfect for storing household items, this handy space is sure to make it easier to stay organized and to keep to home running as smoothly as possible. This property’s sprawling backyard is an absolute dream come for those who love spending time out in the fresh air. When the snow melts away and springtime arrives, the yard will be ready for lawn games and play! 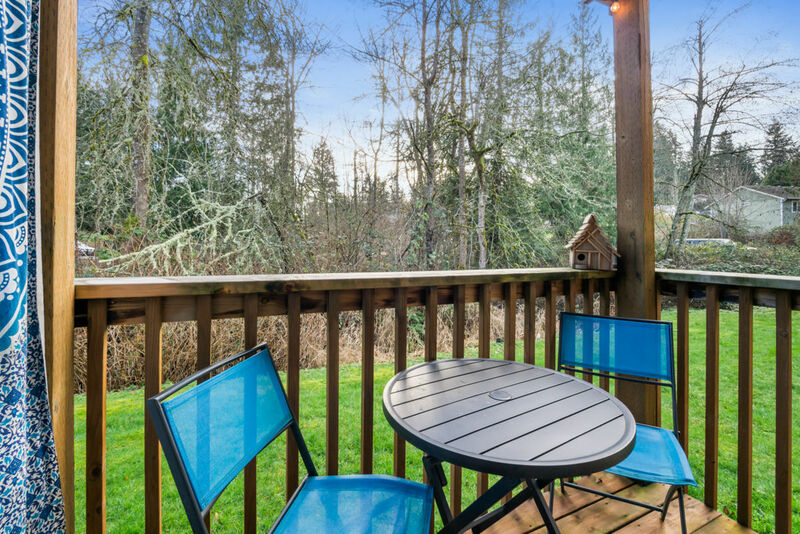 Host backyard barbecues on the deck, and gather around the fire pit to roast s’mores as the sun goes down. Keep things simple and enjoy the fruit trees, or put your green thumb to work curating garden beds that overflow with greenery and flowers. There’s also a shed that provides another convenient storage option for your outdoor tools and toys. 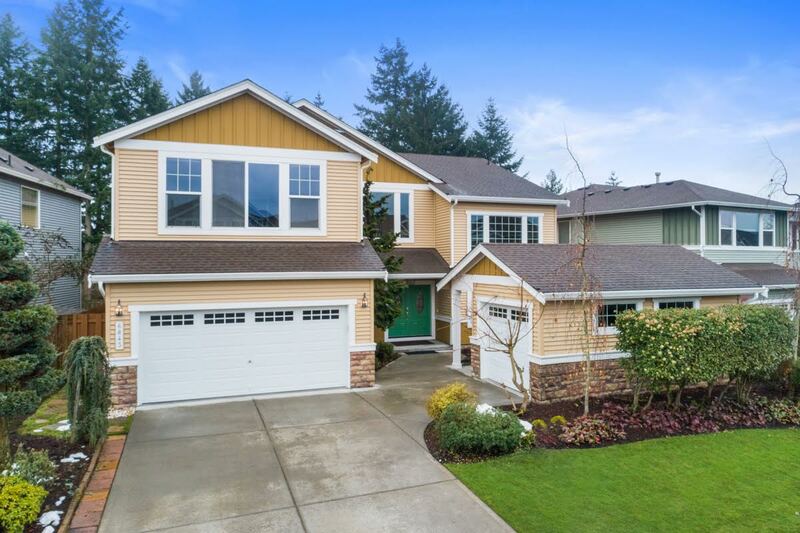 At 17110 17th Av Ct E Spanaway, WA 98387, you’re in a prime Spanaway location. Schools are merely blocks away from home, and when you need to run errands, all of the city conveniences that await along Pacific Ave are only a 4-minute drive away. Here you’ll find grocery stores, restaurants, shopping, a myriad of services, gyms, and opportunities for staying active. Sprinker Recreation Center and Spanaway Lake Park (including Lake Spanaway Golf Course!) are just minutes away. Those who commute for work are also in luck—Highway 512 is only 14 minutes from home, and Joint Base Lewis-McChord is easily within reach as well! Located on the ground floor, this condo boasts design straight from the glossy pages of a home decor magazine. No detail has gone unaccounted for, and as soon as you step inside this welcoming condo, the modern aesthetic is sure to delight. Gleaming laminate floors, fresh paint and trim, and a trendy yet timeless color palette make for a memorable first impression, while top-notch amenities promise ease and efficiency. The open-concept layout makes it easy to spend time with loved ones, whether you’re enjoying a quiet evening or entertaining friends. The living area flows into the open kitchen, where bar-style counter seating gives you a view of this well-appointed space. 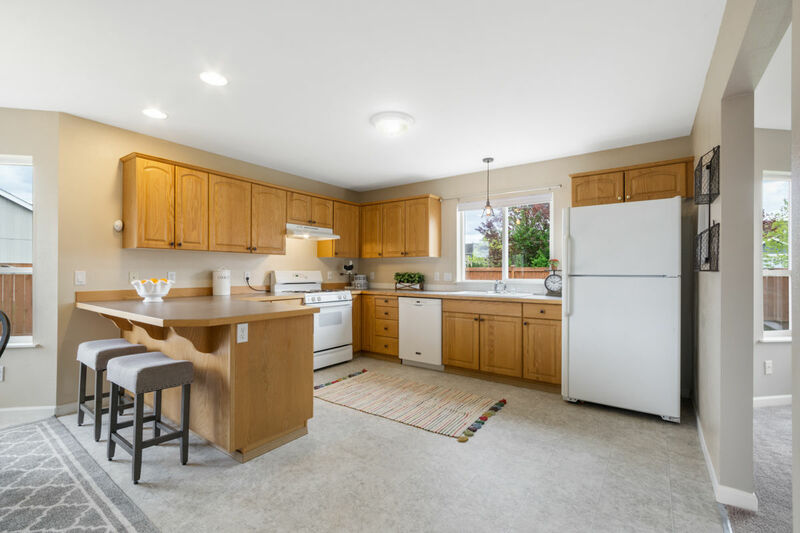 Shimmering quartz counters, white shaker cabinets, stainless steel appliances, and a pantry all ensure that you have top-of-the-line kitchen amenities right at your fingertips. Cheerful sunlight pours in through sliding glass doors and the kitchen window, brightening up this space even more! The same well-curated style can be found in this home’s bathroom, a spa-inspired haven with eye-catching details, like the intricate tile elements in the shower and the sleek above-counter sink. Whether you’re taking a rejuvenating bubble bath or getting ready for the day, having a space with a fresh feel to it makes routines all the more enjoyable! Plus, right around the bathroom you’ll find a washer/dryer combo (and handy shelving right above), all of which is included with the condo. 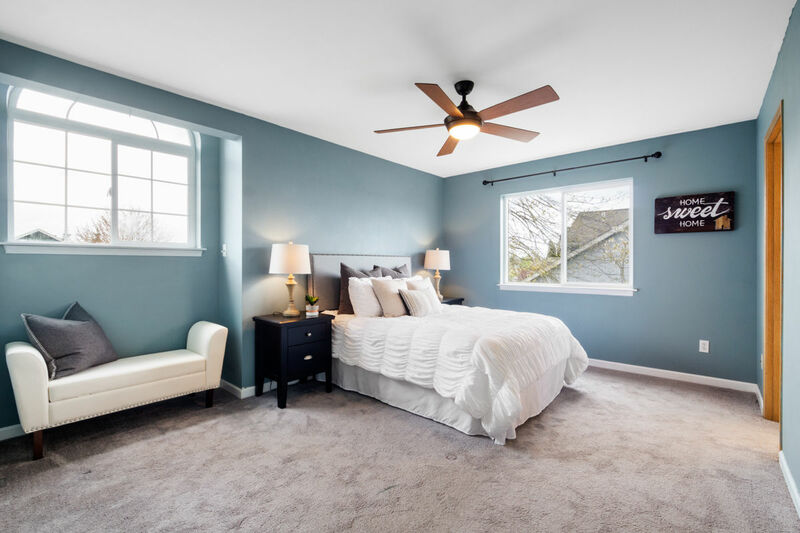 Find privacy and flexibility with this home’s 2 bedrooms, and if you have an extra room, you might consider transforming it into a hobby room, office, fitness center, or den. This condo even has its own back porch, offering the perfect spot for barbecuing and outdoor dining when the weather warms up. 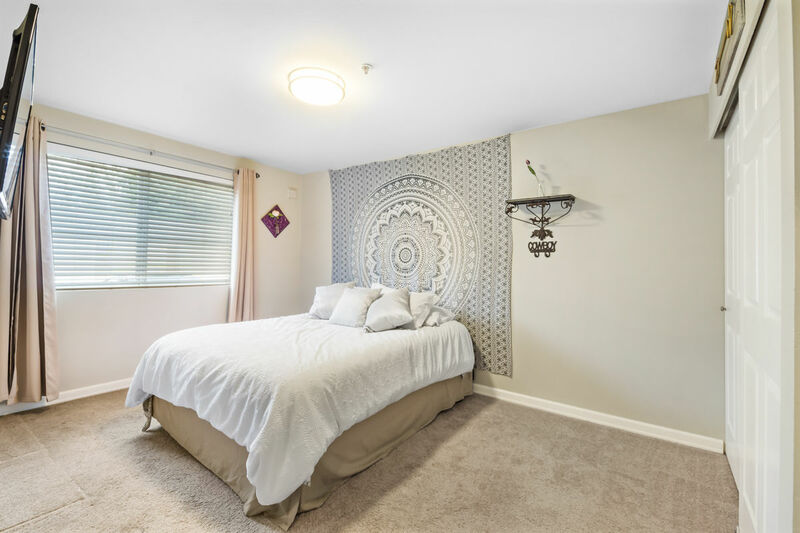 Take in views of the lush lawn and the greenery that provides privacy, and enjoy having your own special spot to breathe in the fresh air from! This condo also includes a detached garage, a parking spot, and private storage space for your convenience. 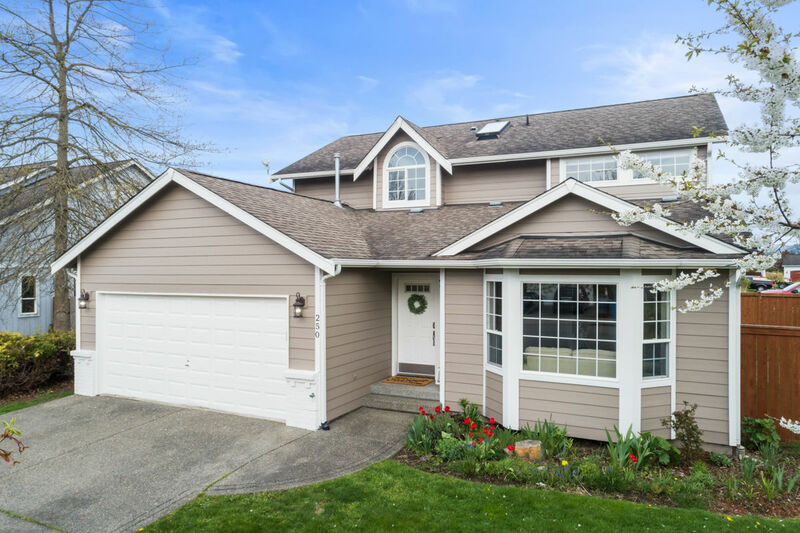 At 7312 194th Ave E C Bonney Lake, WA 98391, you’re in a prime Bonney Lake area. 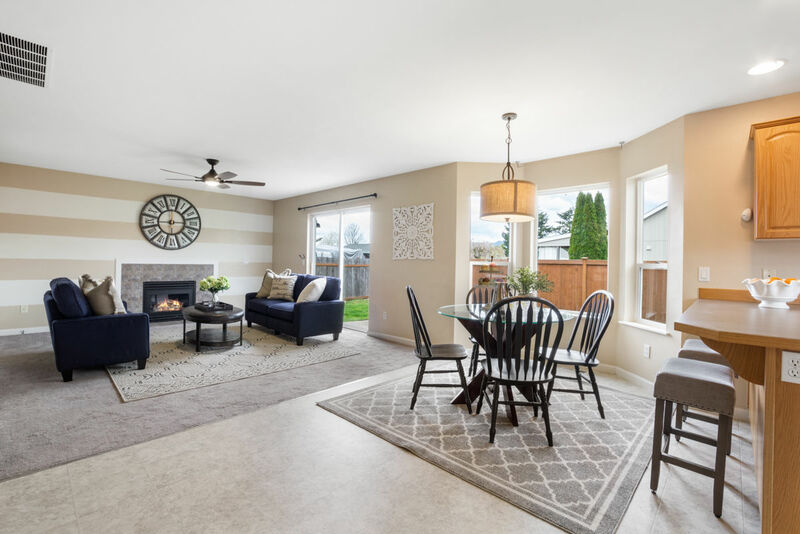 Not only are you just a block away from the 45-acre Allan York Park that rests at the south end of Lake Tapps, but you’re merely minutes to city conveniences and highway access. Places like Target, Walmart, Lowe’s, and other shops and eateries are merely a 5-minute drive away, and you can connect to Highway 410 in just 4 minutes. Plus, take advantage of being so close to Lake Tapps by spending time out on the water or at Lake Tapps Park playing on the beach in the summer!